"WHAT'S UP, TIGER LILY?" 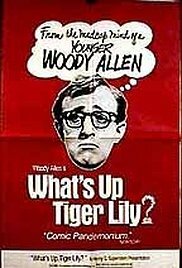 is a 1966 American comedy film directed by Woody Allen in his feature-length directorial debut. Allen took a Japanese spy film, INTERNATIONAL SECRET POLICE: KEY OF KEYS, and overdubbed it with completely original dialogue that had nothing to do with the plot of the original film. 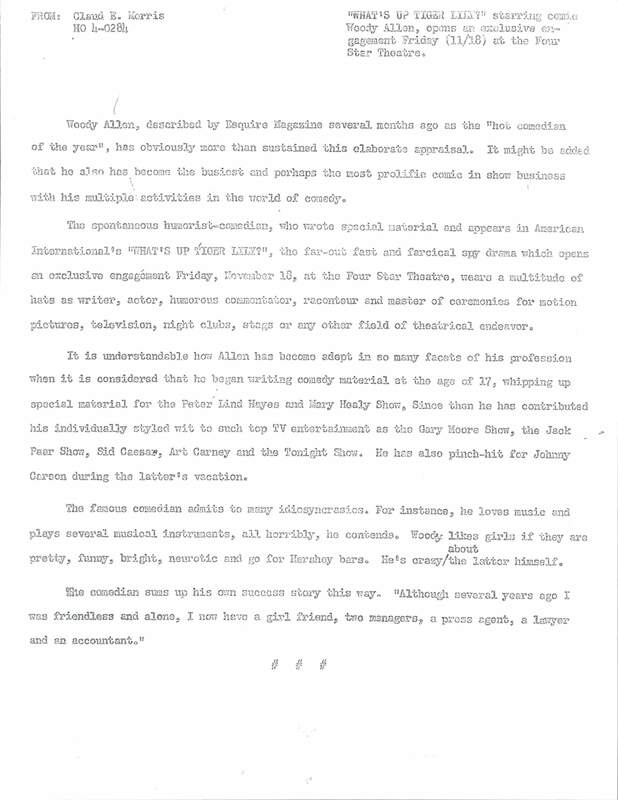 By putting in new scenes and rearranging the order of existing scenes, he completely changed the tone of the film from a James Bond clone into a comedy about the search for the world's best egg salad recipe.